Get into a fuel efficient compact vehicle that offers well-rounded performance and catchy good looks. This Forte also comes with spacious interior, many upscale features, and strong powertrain. Once you step inside the Car you will notice that this Forte has sporty and straightforward interior that has plenty of features. This Forte has been through Galpin's meticulous pre-owned inspection to ensure that your next purchase is worth it. 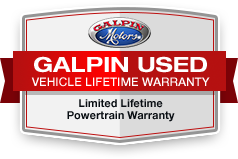 Call us today to see this fuel saver in person and experience 'Galpin Used Car Difference'.